Dental Fillings are used to restore teeth that have been damaged by decay or have been cracked or broken. Where clinically necessary a silver or amalgam filling can be replaced with white fillings. Composite fillings can be matched to the natural colour of your teeth, meaning that the fillings are less noticeable. This is especially important if fillings are needed in front teeth that are visible when you smile. 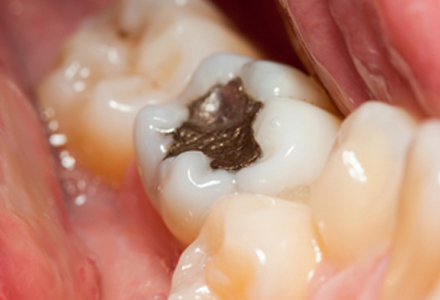 Composite fillings are strong and are long lasting. Glass ionomer fillings are tooth coloured and form a chemical link to the tooth. They are normally used in less hard wearing areas of your teeth. By having teeth filled and treated quickly after decay or a crack is noticed the tooth will be prevented from deteriorating further and avoids the need for more extensive dental treatment.